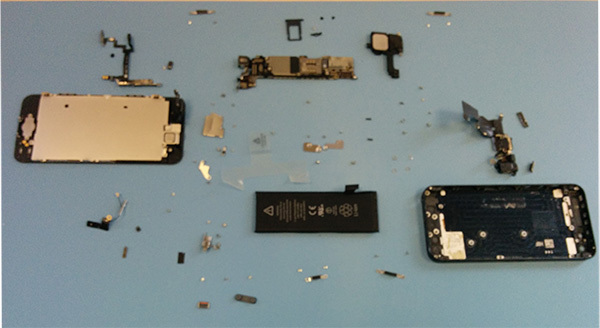 It amazes me just how many different components go into making a Smartphone, and how experienced a repair technician has to be in order to put a phone back together. I certainly wouldn’t have the patience to take this iPhone 5 apart and then put it back together that’s for sure. So how many parts do you think are in this photo? Do you think you have what it takes to get every part put back into the right location?